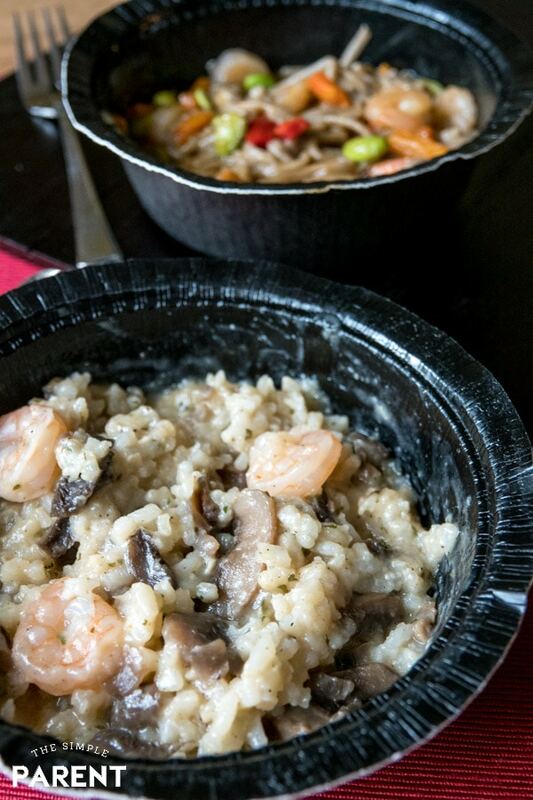 Home » Family Life » Four Times We Ate Gorton’s Shrimp Bowls and One Time We Didn’t! Four Times We Ate Gorton’s Shrimp Bowls and One Time We Didn’t! We’re partnering with Gorton’s to share about our experience so read on to learn more about the four times we ate Gorton’s Shrimp Bowls and the one time we didn’t! This is a sponsored post. 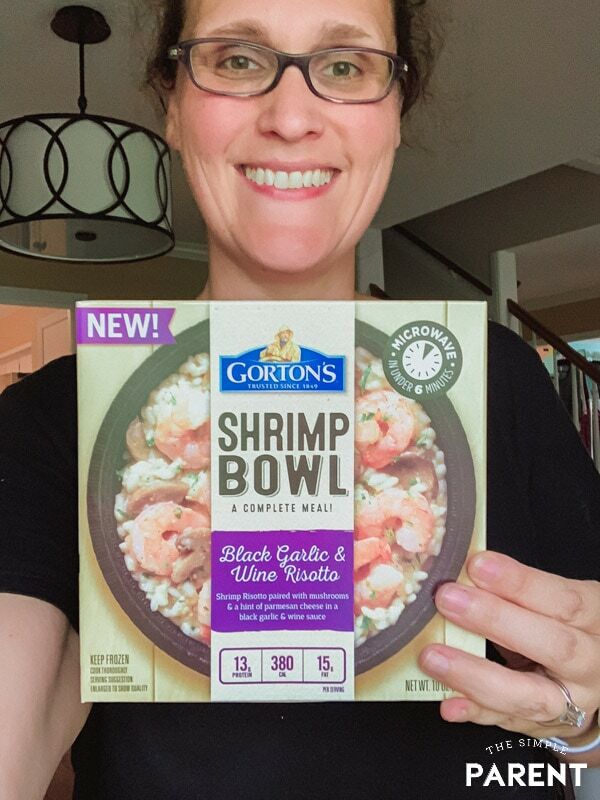 Over the past few months, I’ve shared about how Gorton’s Shrimp Bowls have become part of my weekly shopping list. They’re perfect if you’re looking for easy dinner ideas and I shared four reasons why you should try one of the shrimp bowl varieties. 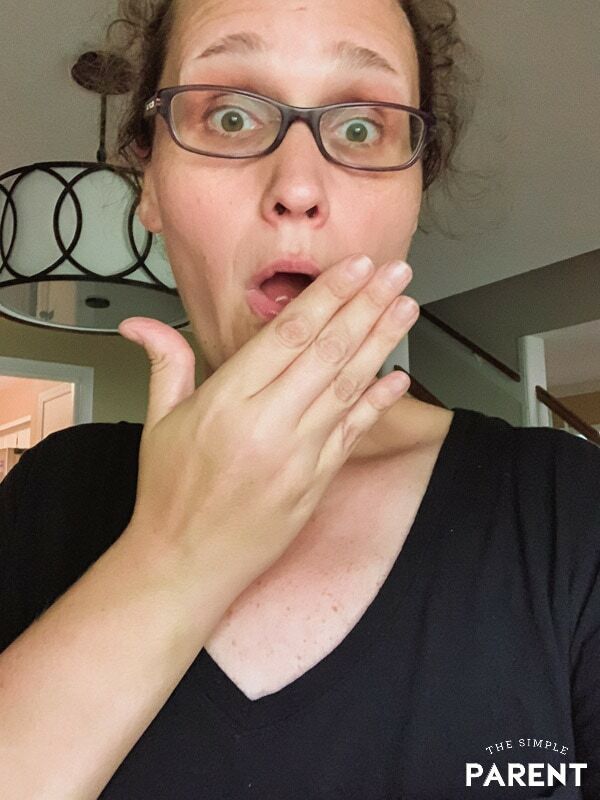 But I’ve got a story to share that happened to us recently! Baseball season started and with both kids playing this season, life has gotten a bit crazy. I feel like saying we’re busy doesn’t quite paint the full picture of how things are going right now. I wouldn’t change it for the world and we’re having a blast. Weston hit his first out of the park home run at his last game! I enjoy every minute of being a baseball mom! But it means dinner has to be quick if I want it to happen. I’m trying not to give in to the temptation of the nachos and the hot dogs at the baseball concessions stand, so I need dinner to happen before we head out for the evening. With Gorton’s Shrimp Bowls, my dinner is a major step up from sandwiches on the way out the door! But something happened this week! Something that I need to make sure never happens again! I stocked up on both varieties of Gorton’s Shrimp Bowls when we got groceries. I’m a fan and Justin has become a fan so I have to make sure I get enough of both of them for us to share. So what’s the story behind the mistake I made recently? As I mentioned, I picked up a few boxes of both flavors for Justin and me to have for the week ahead. Then a baseball game got rescheduled and suddenly we’d made it to the end of the week with two games on one night! Carrigan’s games start pretty early so time is short between the end of the school day and warmup time at the fields. Together, Justin and I had eaten Gorton’s Shrimp Bowls four times that week so when it was time to pull something out for dinner before double game night, the freezer was empty! 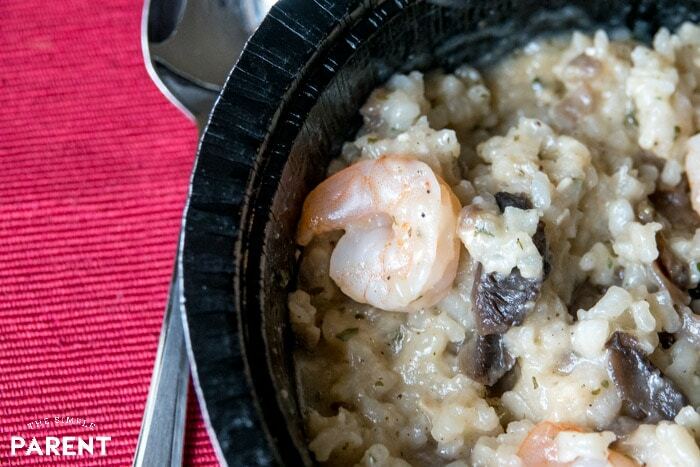 All I could think of was having the Black Garlic & Wine Risotto Shrimp Bowl so it was a bit of a bummer! It was the one time we’d already had Gorton’s Shrimp Bowls four times in one week and the one time we didn’t, even though I was craving it! They work great for dinner on busy nights and Justin loves taking them to work for lunch too. Lunch or dinner is ready in six minutes or less so the convenience factor is there! 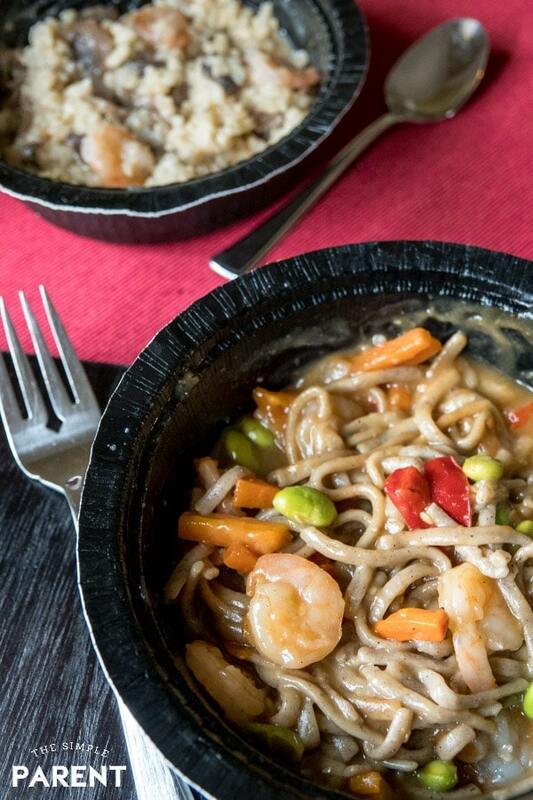 Pair it with the flavor and the shrimp bowls are the perfect choice for quick meals! 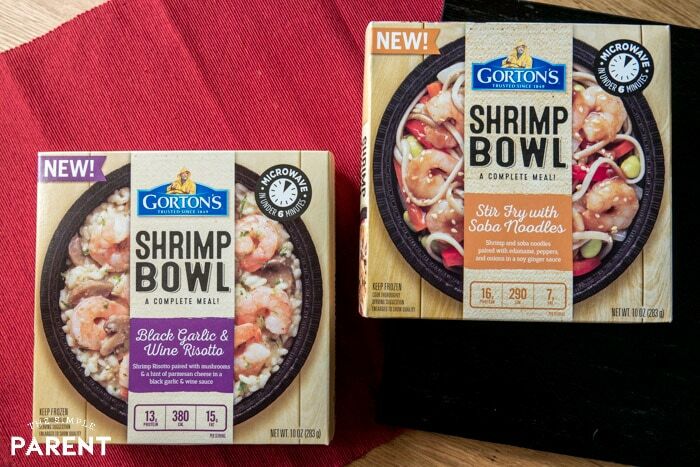 You can learn more about the new Shrimp Bowls and all of the Gorton’s Seafood products at gortons.com. They’ve got easy meals ideas for the whole family that are great for any time of the year, but especially during this busy time!